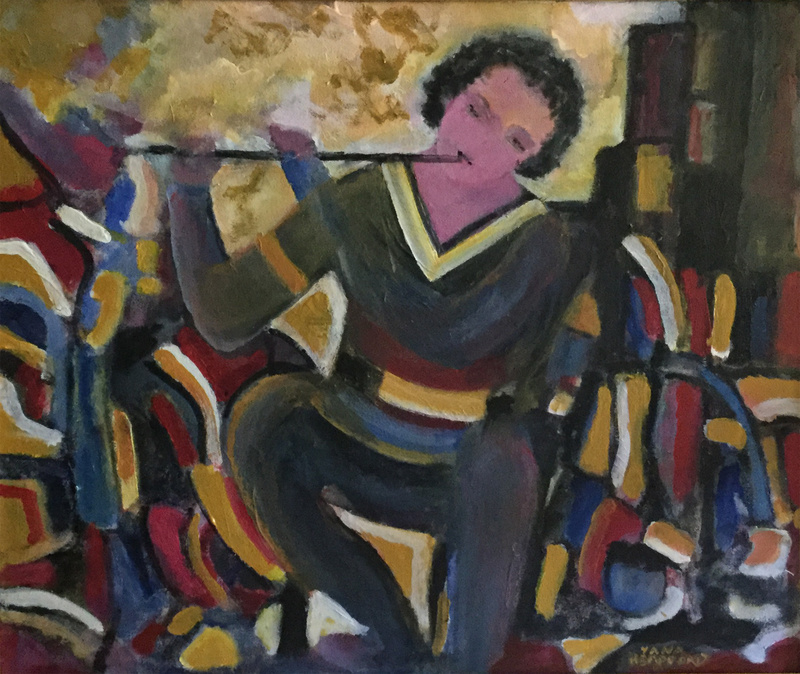 Tittle: The Flute Player Artist: Yana Headforth Medium: Acrylic Dimensions: 20 x 24" In 1945 Yana Headford began her training at Sheffield Institute of Arts to become a professional artist. She came to Canada from the United Kingdom in 1945 and pursued an art filled life. She taught art at Sheridan College for about ten years and worked and then worked as part of the City of Mississauga’s recreation department for 12 to 13 years. Some of her greatest contributions to the art community are co-founding “Unit 2” with Joan Pearson which is an inclusive art space for all individuals and founding “Studio Ten” to award promising artists she taught.